After starring on Fox’s iconic police drama New York Undercover from 1994 to 1998, Yoba is experiencing déjà vu success with Empire. “I've been telling everybody it's gonna work, because we did New York Undercover,” he says. 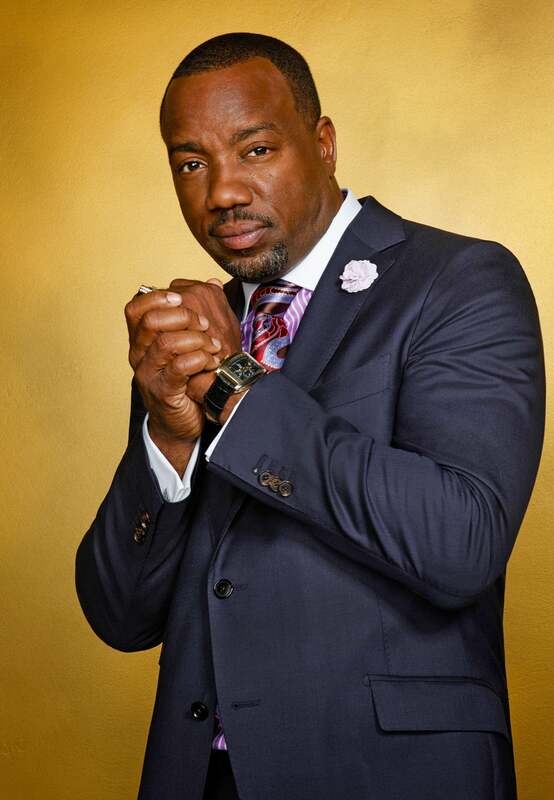 Malik Yoba has been here before, both literally and figuratively. We’re seated in a corner booth at Fort Greene restaurant Olea, a cozy Mediterranean spot where the 47-year-old actor is a regular patron. It’s just a short walk from his Brooklyn home. Career-wise, Yoba is also wading in familiar waters. After starring on Fox’s iconic police drama New York Undercover from 1994 to 1998, the Bronx native is experiencing déjà vu success with Empire. The hip-hop soap opera is making history via ratings that have climbed every week since its January 7 debut. It’s been a shock for TV analysts and pretty much everyone except Yoba. On Empire, Yoba plays Vernon, the street-raised but business-smart chairman on the Empire Records board of directors and right hand to label founder Lucious Lyons (Terrence Howard). A second season was greenlit by Fox after just two episodes, and Malik already has lofty expectations: 20 million viewers for the premiere. Essence.com sat down with the storied actor and co-founder of lifestyle company Iconic32 to speak about his role on Empire, Jamal’s (Jussie Smollett) powerful coming-out scene, directing duties for season two and whether he’ll be doing any singing on the show. Was your character Vernon modeled after anyone? From an executive standpoint, there are a couple of cats. L.A Reid, for one, even though I ended up wearing more suits. But all those clothes actually come from places I shop at anyway. From a character’s standpoint, I grew up here in New York. I’ve seen Russell Simmons build Def Jam, I’ve seen Roc-A-Fella Records—there’s always a dude next to the dude, so it was an amalgamation of guys that I’ve known. That dude that you’re next to is obviously Lucious Lyon. You two have an interesting relationship—you always have his back, but you’re no yes-man. Is that a balance you try to strike? It’s funny because when I read stuff on the page sometimes it reads like Vernon is supposed to be the yes-man. Something as simple as asking, “Who else knows about this?” after he tells me Anika (Grace Gealey) knows about his sickness. It’s very different to ask the question like, “Yo, who else knows, who knows? !” Like I’m threatening to f— you up if you tell me the wrong answer. There’s a way to play the scenes that give you what you feel. I’m not a yes-man and I don’t look at it as Vernon works for Lucious, even if the writers are like, “he works for Lucious.” We work together. In real life, even if you hire me to work for you, I’m gonna work with you. I’m just not built to be that dude, that yes-man. So that’s more the actor than the writer. The concept of power is almost always present on Empire, whether trying to attain or keep it. Same with shows like Power and House of Cards. Why do you think that appeals to viewers? Is it a mirror of our society? What do you think? I’m in it, so what do you get from it? Maybe. In America, most people are clawing to the top or trying to keep what they have. I would agree. For me, the only reason I have power, money and resources is to give it away. We can’t die with this so let’s do some good. Because how much do you really need? A lot of people feel like “I’m never gonna be rich.” I can’t imagine saying that. Sky’s the limit. It’s amazing that people really believe that. And we need those people too, because they need to work for people like he and I [points at Iconic32 business partner Sergio Morales]. What’s an example of how your upbringing shaped you into a leader? Being raised Muslim, we had to get up at the crack of dawn to pray. There was no sleeping in, no getting up Saturday morning to watch cartoons because there was no TV in the house. But you got up and you worked, cleaned the house. We’d go to the spring in Yonkers and get water coming up from the ground [with] empty milk cartons and plastic gallon joints. There were six kids in my family; my father would drive up the four oldest—the two youngest sisters were too young so they’d sit in the car. Four of us would go up and down this little mountain hill and form an assembly line, fill up the water like little worker bees. I had a paper route at eight years old in Harlem. And that’s old Harlem, not cute, gentrified Harlem. Exactly. Like ’75. So I’ve always worked, I’ve always made money on my own. Bringing it back to Empire, do you think Vernon is immune to that power hunger? But Vernon and Andre both are business-minded, not music-minded like Lucious, Jamal and Hakeem. Malik is, though. But unfortunately, the one scene where I tried to grab a guitar and play it in the middle of a meeting, I was vetoed. But I thought that would’ve been the move because everyone in the cast is a musician. Everybody. Everyone actually sings. Would you show off your musical talents if the opportunity presented itself? I was hoping it would but it doesn’t look like it. The biggest standout on Empire is probably Taraji P. Henson. What do you think about her performance as Cookie? She’s a fantastic actor that I enjoy watching. I love being a fan. I first met Taraji years ago in L.A. We had a mutual friend in D.C., where she’s from. People don’t really talk about her age, but Taraji is 44 years old. And there are very few actresses who actually peak at that age. It’s a testament to her talent, but more importantly, a testament to having the right role. I talk to her and she’s like, “I’ve been waiting my whole life for this.” And that’s one of the challenges for me, because some material is just not there for me. Which is why you get that n**** coming out in some scenes. Even if you don’t like it, I’m gonna play it naturally because I’m that dude. You were part of one of the more emotional scenes on the show—episode 8, when Jamal finally reveals his sexuality to the world. Talk about that scene and the significance it has, even outside of the context of Empire. I’ve always been an advocate for disenfranchised people. I’ve always had a lot of gay friends; transgender friends. Those issues are important to me because I came up in the theater community, went to school with two kids that were transgender—they both transitioned in high school. One came to a talent show as Boy George and apparently found some freedom in that and dressed like that every day after. Then one day you see him pushing a shopping cart to school with all of his belongings in it because his grandmother kicked him out. And Octavia St. Laurent, who was in the movie Paris Is Burning, was a good friend who died of AIDS complications. Those are the kids I went to school with. So I’m just happy for Jussie specifically, because Jussie is gay. Anything he wants to do I’m down to support. I personally love him as a human being and a great guy. So when I toast to him in the scene, it’s not just Jamal, it’s Jussie. It’s for all those kids that got kicked out the house. There’s some crazy number, like 80 percent of homeless teenagers—some ridiculous number—associated with the fact that the kid is gay. You’re an art consultant on the show. Well, with Iconic32 we do consultancy work for corporations. The opportunity seemed to present itself with Empire for a great pop culture vehicle that could really drive social good through and push the art forward. I took the opportunity to reach out to artists myself and build a relationship. People who want their art on the show approach me now. They hit me on Instagram, like, “Yo, I notice you have Kehinde Wiley’s work on the show, how do I get my art on there?” The set designer and I have a good relationship, so I just try to be the conduit. How is it determined which art will make it onto the show? I have no idea. That’s above my pay grade. I know Lee had a lot to do with that since he collects some of Kehinde’s works. The set decorator, production designer, and set designer calculate the space for whatever that visual art is. Do you follow the art scene closely? I saw you last summer at Kara Walker’s “A Subtlety” installation at Domino Sugar Refinery in Williamsburg, Brooklyn. Yeah, I was there. Funny thing, I ran into Kara Walker on the street. She had no idea who I was. I knew her from seeing her work around, and she’s like… and you are? I’m like, don’t worry about me, I know who you are. It’s better when everybody doesn’t know you. Anonymity is a beautiful gift. Earlier, you mentioned that you’d like to direct the next season of Empire. They promised me, so we’ll see what happens. Do you have a vision or something that you would like to see next season? Directing for me is more about storytelling and how stories are told through visual mediums. I love to direct theater, too. I just like seeing things come together. It’s much more organic for me than like someone who has a background in photography so they understand lighting in a certain way, or someone who’s more like a painter. I don’t think I’m that type of director. I’m more about the look, the performance, and the storytelling. I love how visually things can look. I’ve directed web series, music videos, film shorts, and theater. It’s just a hat I put on.